Welcome to our GENRES page. As always some titles belong to several genres. This is why you find some of them in more than one column to be sure. Titles are being presented in alphabetical order by author, their respective international working title, foreign rights sold and page count. The moment you hit a title a new browser tab opens with the exposée of the story. Hitting the author name brings you to the author's page. The covers visible are a selection of all foreign rights covers. You can find the entire backlist by hitting the SPECIALS tab. 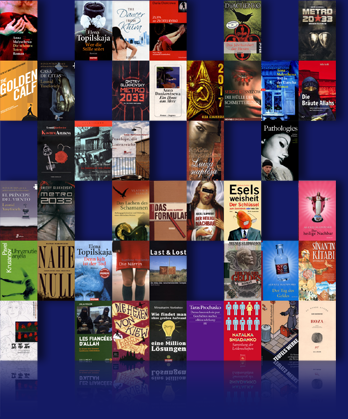 Here you can trace chronologically the respective publisher, the translator and the year of the publication of each work. A big THANK YOU goes to our publishing partners for their creative commitment to all cover designs!